I had Kevin and Greg in from Wyoming on monday. Neither one had ever been offshore before. We started off at the supersecret wahoo spot but it was so secret only one wahoo could find it and we killed him. 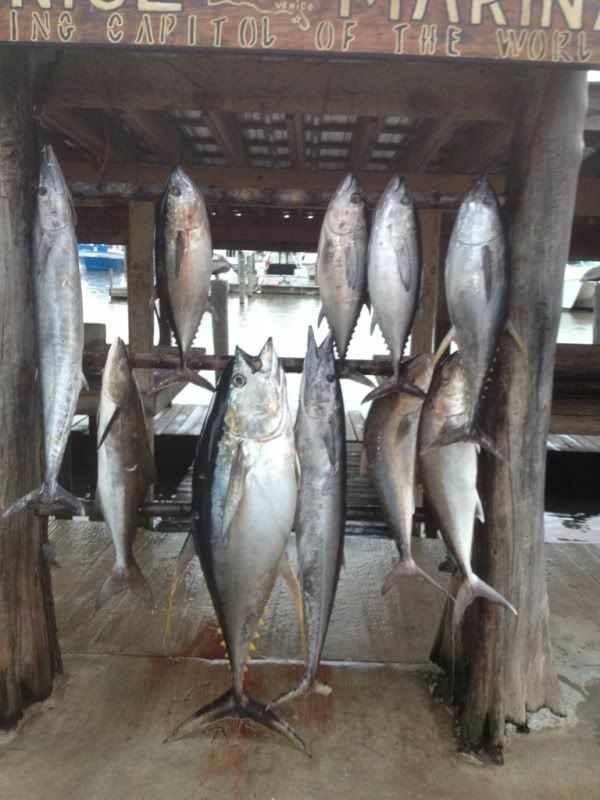 Kept working around and picked up a blackfin as well before we started dropping jigs. 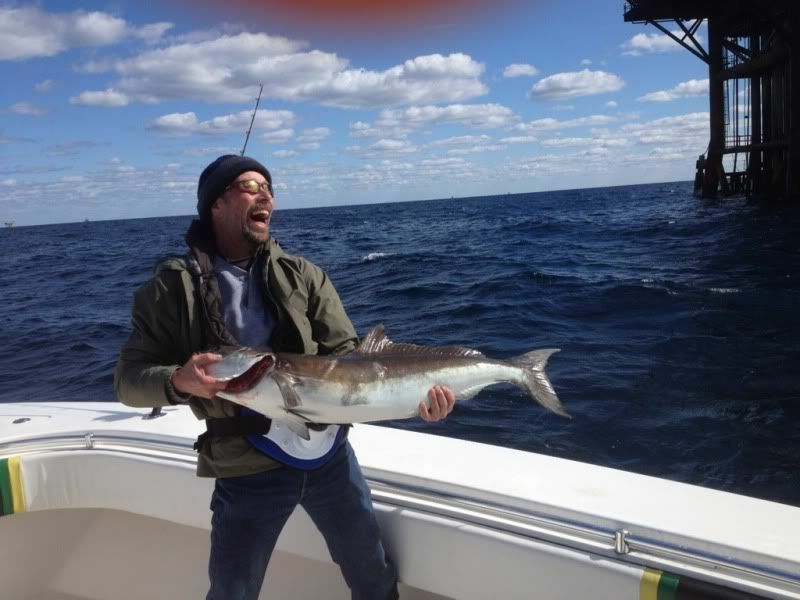 First drop was a nice surprize cobia and then we picked up a huge gag that we safely released. Popped around a little bit and got both guys their aj on the jig. In early Afternoon we got a nice wahoo and that was it on the troll. I rolled out a little farther and set up some chunk drifts. First couple of drifts were luckless but then we doubled up on blackfins on the third drift. After the bf the sharks and kings got thick so we set up again and got on some tuna this time as Greg caught his first yf which was about 30 pounds. 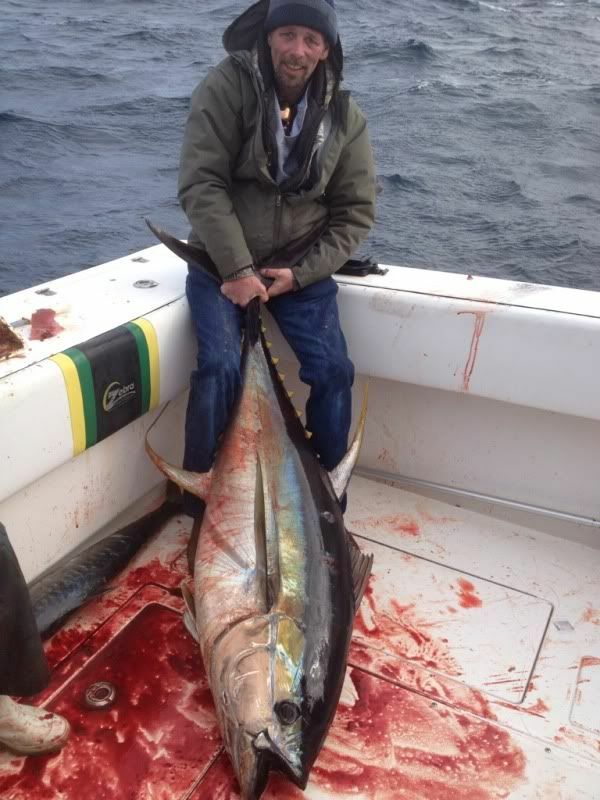 Kevin then got a solid hookup on a screamer. 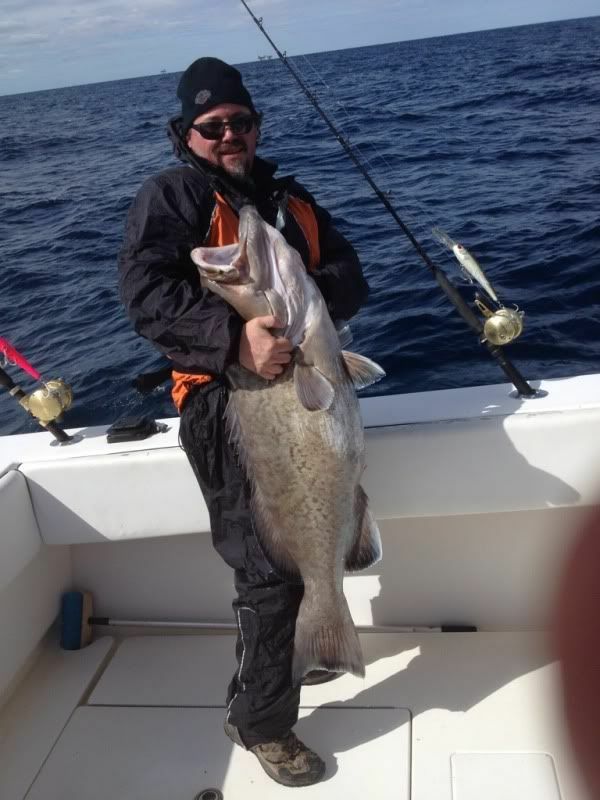 I had to chase this fish down but after about 40 minutes we stuck the gaff in a 130 pound yf to end the day.